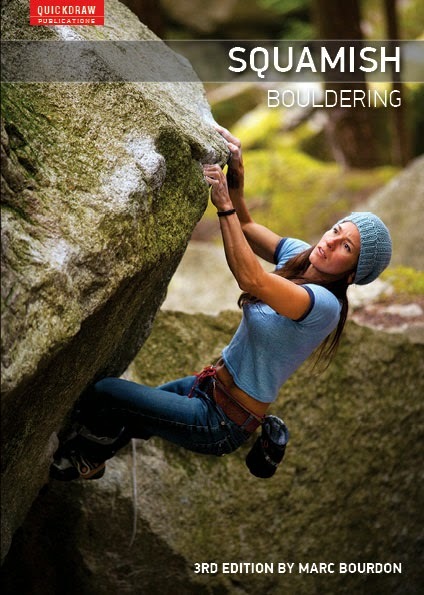 After more than six months of work, the newest edition of Squamish Bouldering is finally complete. This is the third installment of the guide and it now contains over 3,000 problems, 500 more than before. I grossly underestimated the amount of time this project would take. I'm still trying to figure out what happened, but I'm guessing the good climbing conditions in January and the great skiing in March had something to do with it. Regardless, the printing of the new book should be complete by late June. The bulk of the new problems are in the North Walls zone, but some previously unpublished areas, including Cat Lake, Short Stories and Shannon Falls, will provide plenty of fresh terrain to explore. Our new Quickdraw Publications website should be live in the next couple of weeks and ordering will be available on-line. As always, I welcome feedback on any aspect of the book. Get in touch if you have anything to say.